Are you struggling with fear of the future? Do you constantly see yourself in defeat? If so, your conscience is showing its face. Every person has a conscience, but not everyone knows how it operates. Because of that, anxiety and guilt are taking over many people's lives. But happiness and success are God's best for you, and His Word can show you how to live in freedom. 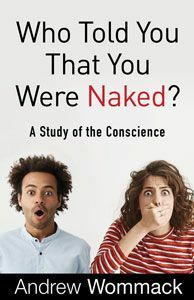 In his Who Told You That You Were Naked? teaching, Andrew uncovers the lies you've believed and shares truths for overcoming them once and for all. You will understand your conscience and where it came from as you learn how to choose freedom instead of condemnation. It's time to start believing right. Live a simpler life, and break free from fear and guilt for good!